Summer is in the doorstep and will be peak by the month of July and August here in uae. It's time to jump into something cool, and this summer i will be filling up with some cool recipes. 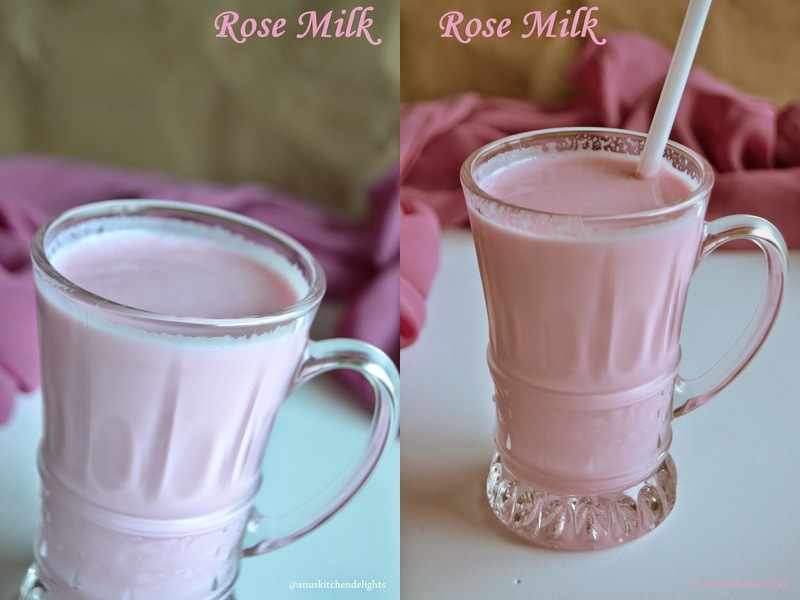 The first recipe that came to my mind was this simple drink, rose milk. Who doesn't go crazy for this pink colored pretty drink. It was one of my favorite during childhood and it's long time since i have tasted it too. I got myself a bottle of concentrated rose-syrup and thought to give a try at home. I am sure the kids will go crazy for this. The exotic flavor of rose essence with the goodness of milk , simple and best to beat the scorching heat. 1. Boil the milk and refrigerate it until chilled. 2. Take the chilled milk, beat it once and add sugar. 3. Add the rose syrup. 4. Beat well to become frothy. Serve chilled and enjoy the pretty drink to cool yourself !!!. Always whisk once before serving. This is super yummy drink!! My favourite drink for summer.